I haven't had a chance to break out my DSLR to take better images. 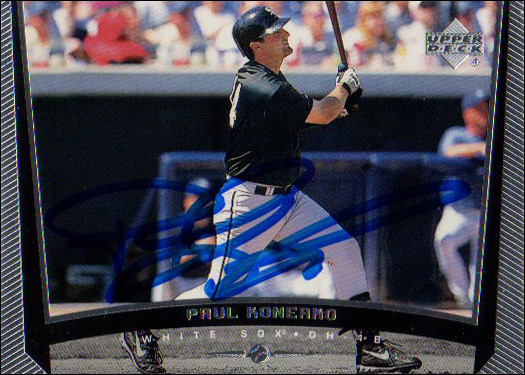 Here are some crappy cell phone pics of the Konerko 16x20s that I got done at his recent signing. I already have the World Series 16x20 signed with the same inscription. However, that was a photo that I had printed, whereas this one is a Photofile with World Series hologram, etc. 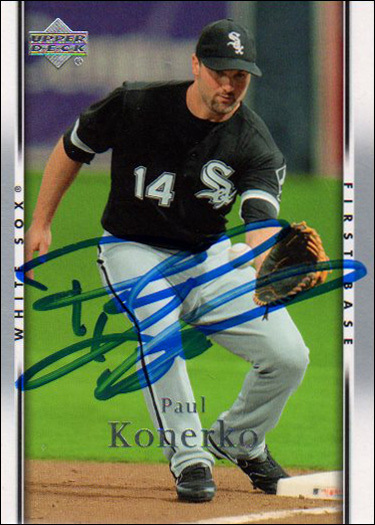 Today I received my items from a recent Paul Konerko private signing. SCN member pabs82 was kind enough to take my items, and he did a great job with them. Altogether I sent 13 items. 10 cards, 2 16x20s, and 1 2005 ALCS program. Here are the cards and program. I will post the 16x20s later this weekend. The picture of the program doesn't do it justice. It looks amazing! I just received this card from a Robin Ventura consignment. A friend got Fisk on it for me last year. 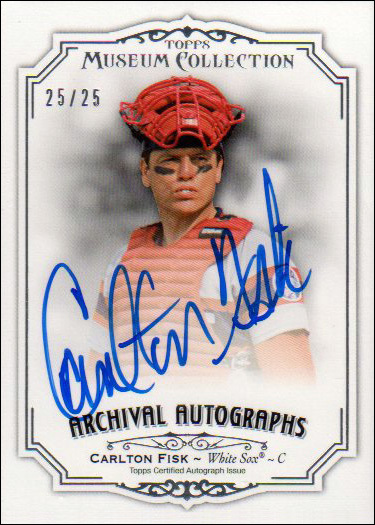 I love multi-signed cards, and this is now one of my favorites! 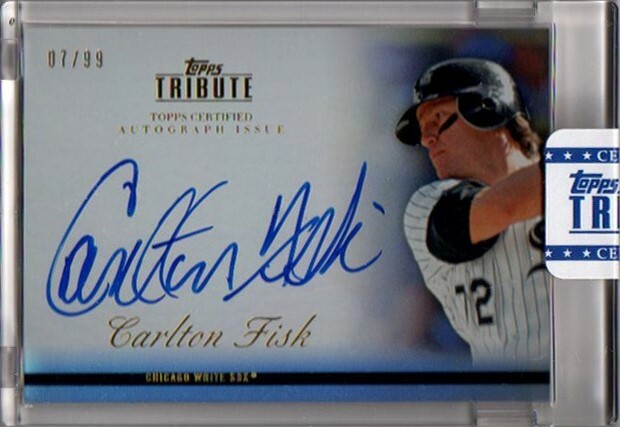 Carlton Fisk has been very popular with Topps so far in 2012, with autographs in many different Topps products. Earlier I showed you my Topps Tribute Fisk auto. Here are a couple more beautiful on-card Fisk autos that I've picked up recently. 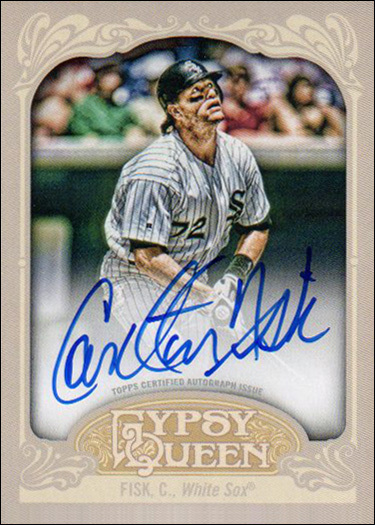 2012 Gypsy Queen and Museum Collection. 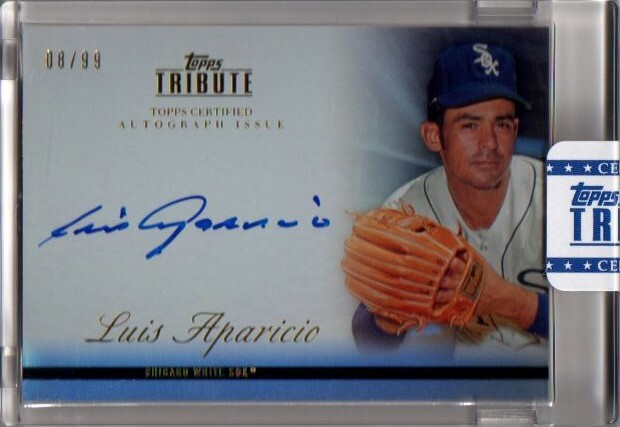 2012 Topps Tribute Autographs... Completed! I finally picked up the last 2012 Topps Tribute autograph I needed. The big one. 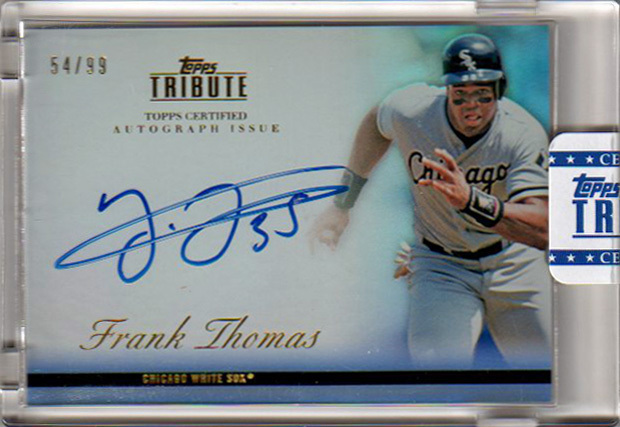 The Big Hurt, Frank Thomas! 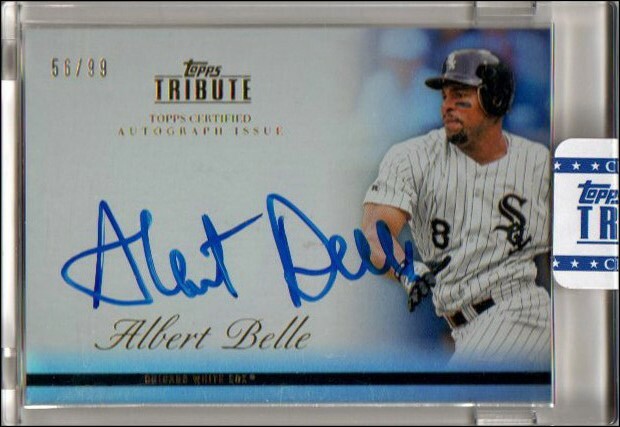 I'm a big fan of the autographs from 2012 Topps Tribute. The autographs are all on-card, which is much better than a sticker autograph. The cards have a refractor-like finish, and a very classy design. There are five different White Sox in the set. I have the four shown below. The one I am missing is my all-time favorite player, Frank Thomas. I haven't been able to find one at a price that I'm comfortable paying. Some times I wish my favorite player was somebody more affordable, lol. Behold, my 2012 Topps Tribute autographs! 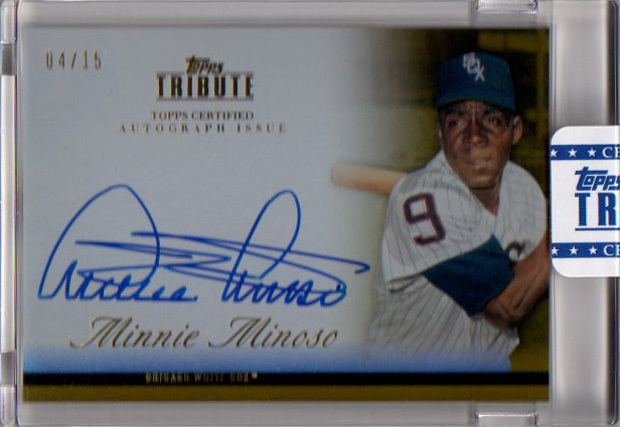 The Minnie Minoso is the gold version, numbered to 15. I am GLAD spring training is over. It was a blast, but I'm ready for it to end. I spent 18 days getting autographs this year. I only hit 3 camps, which is the fewest I think I've ever hit. I spent 11 days at Nats camp, 6 days at Marlins camp, and 1 day at Braves camp. I had planned on hitting Astros camp for a day, but never got around to it. I got a total of 1568 autographs. 1541 on cards, 2 16x20s, 2 10x20s, 2 11x14s, 5 debut tickets, 11 8x10s, 2 baseballs, and 3 mini helmets. I got 149 White Sox items signed. That represents almost 10% of my total items signed. Not bad considering I didn't go to White Sox camp! I got autographs from 258 different players/coaches. The player breakdown is below. Get your scroll wheel ready, it's a long list! Guys I got on White Sox items are in bold. Well, spring training is ending on something of a downer for me. I decided to head to Jupiter one last time. Big mistake. The major leaguers didn't work out on the practice fields at all, and all of the minor leaguers traveled. The AAA/AA teams were supposed to be home today against the Mets. 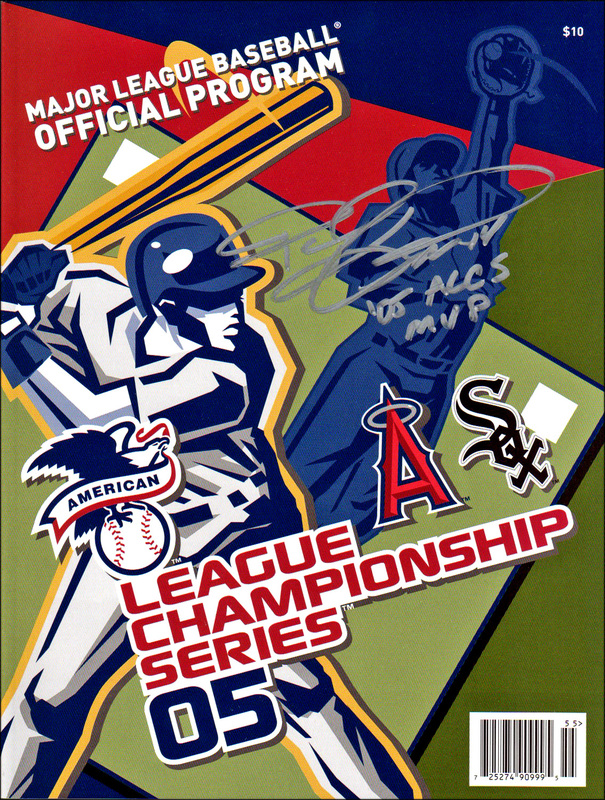 But for some reason the A teams went to St. Lucie, and the AAA/AA teams apparently went to Viera. 90% of the totals below were obtained in the parking lot this morning. A handful were obtained in the backfields, as the minor league pitchers that didn't travel had a short workout. I spent what might be my last day of spring training at Nats minor league camp. Unfortunately, they started late today (10:30), so the AAA/AA that were traveling to Kissimmee never came out. These guys are clearly getting tired of me. I was thinking about going back tomorrow to try to get AAA guys, but after some of the looks and comments I got today, I'm having second thoughts. I'll either go to Jupiter tomorrow, or just relax for the first time in over a month. Of the players that clearly recognized me, Brian Goodwin was the only one that refused to sign for me. I'm sure Matt Purke would have as well, but I didn't see him. The Single A Astros were here today. Unfortunately, they didn't bring Delino Deshields or George Springer. I was pretty happy to get Cesar Cedeno, though. He was very friendly. When he emerged from the dugout and I asked him to sign, he acted shocked and afraid. Once he took my cards, he started calling over his players and making them look at them, lol. The most notable thing that happened today was getting Stephen Strasburg for the first time. All of the starting pitchers signed after taking BP, other than today's starter John Lannan. There were quite a few people lined up for Strasburg. Probably 40 or so. Strasburg signed for everybody. Not only that, but he was smiling and laughing. I guess there is a first time for everything! Gio Gonzalez and Edwin Jackson signed everything put in front of them after BP, and again in the parking lot. Those two guys have been awesome all spring. Bryce Harper didn't sign anything.